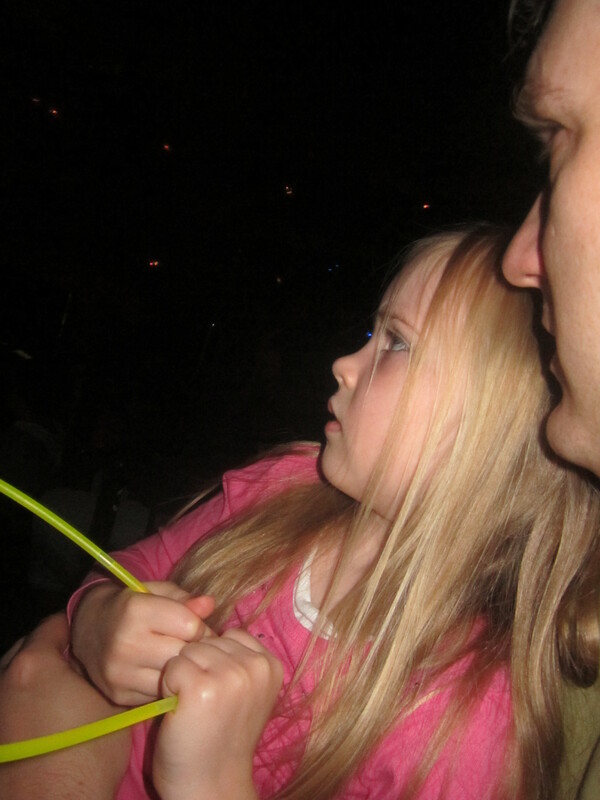 When my middle daughter turned six, we took her and some friends to the circus for her birthday. For a girl. All girls. Six—yes, six—girls. We assured him only three belonged to us. At the circus, the birthday girl sat next to her friends on one end of the row. My husband and I sat all the way on the other end. After each act, though, my brand new six-year-old shot all the way across six seats to climb into her Daddy’s lap. She was scared. Every time the music grew the least bit dramatic, she was sure the dragon in the show was coming out and it was a real dragon and it wanted to get her. Sometimes you just need to be safe with Dad. We need nothing less from God, open arms and the chance to climb up into His lap when life grows tense and what’s waiting behind the curtain feels ominous and overwhelming. These were just friends, sweet, good friends who weren’t out to scare her or trick her. They were making guesses and playing games. Even so, she chose to listen to mistaken experts and believed their well-meaning false reports. “All this took place to fulfill what the Lord had said through the prophet . .. ” (Matthew 1:22). “For this is what the prophet has written” (Matthew 2:5). “And so was fulfilled what the Lord had said through the prophet” (Matthew 2:15). “Then what was said through the prophet Jeremiah was fulfilled” (Matthew 2:17). “So was fulfilled what was said through the prophets” (Matthew 2:23). “This is He who was spoken of through the prophet Isaiah” (Matthew 3:3). This was “to fulfill what was said through the prophet Isaiah” (Matthew 4:4). “This was to fulfill what was spoken through the prophet Isaiah” (Matthew 8:17 and 12:17). In them is fulfilled the prophecy of Isaiah (Matthew 13:14). Matthew tells us that God stays true to His Word. Even though it seemed unlikely and impossible, even when it took a long time, He fulfilled every detail of His promises through Jesus. “The two Hebrew words we translate into English as “promise” are the words dabar, meaning “to say,” and omer, meaning “to speak.” In other words, when God says something, when God speaks, that is as good as it gets. He means what He says, and He says what He means. It would appear as if we, humankind, had to invent the word promise because what we say or speak cannot always be trusted, so we upped the ante with a new word. But when God speaks, He cannot lie” (p. 12). The word “promise,” then, exists for our benefit, not God’s. Every word He utters is truth, reliable truth, unwavering truth. Well-meaning friends and family, even our fellow Christians, who make guesses and share opinions about what’s next for us. Circumstances that scream reasonable-sounding assertions of hopelessness, abandonment, and utter despair. The world shouting out its unfiltered opinion all day, every day. Our internal dialogue with Satan’s interjections of shame, condemnation, and doubt. But today, we can choose to ignore this fear-filled noise, climb up into Abba Father’s lap, and rest, knowing that we are His. We are loved, safe, protected, and more, because that’s what He said is true. Great reminder about Rehoboam’s decision to listen to the wrong advisors! Thanks for sharing!